Review: A Taskforce of Cyberspace Nature? Many would say ‘probably not.’ Introducing a rather interesting app that aims to solve the issue of overflowing e-mails and spam in the INBOX: it’s called Taskforce. Founded by Niccolo Pantucci and Courtland Allen, it’s an interesting innovation that essentially turns e-mails into…. Wait for it…. Tasks! 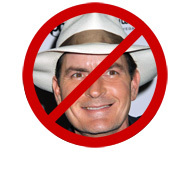 TV actor Charlie Sheen, on a tirade against his (now former) employer, blitzed every major media outlet and amassed a Twitter following of 2 million people in about 2 days venting about how he had been wronged by the network executive. Thanks to Sheen and Twitter, angry people everywhere now have the wherewithal to launch a full-scale brand attack on any service, product or boss that rubs them the wrong way. Businesses have an opportunity to make brand ambassadors out of their most difficult or dissatisfied customers, yet so few fail to do so – why?